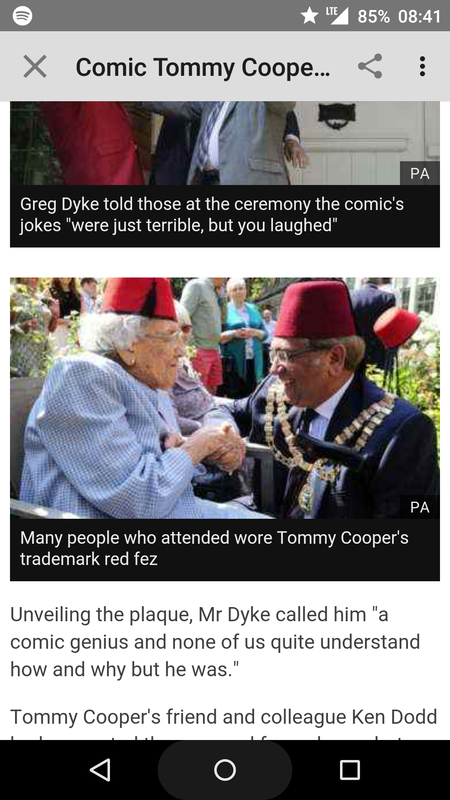 Tommy Cooper’s house received a blue plaque…I didn’t know his abode was so talented. Badumtsh. I recall at a young age asking my dad what those blue plaques were, and he, with much delight, walked me around and pointed out names of the dead who happened to live in London. Since the first plaque was unveiled in the 1800’s, I can hardly blame the use of them as an excuse to increase house prices because H from Steps spent a weekend at his mates house in Mile End. Indeed, the rules are very strict. You must have spent a considerable length of time working or living in London, and have made more of a contribution to your field than 5, 6, 7, 8. Tommy Cooper is one of my favourite dead comedians, and now I know where he used to live… I’m not going to stalk a house of wealthy property developers. I did appreciate the article on the Beeb though – I can see I fit the demographic of fans.